Standing in front of the Memorial Hall of the Victims in Nanjing Massacre by Japanese Invaders, Shi Xiuying sobbed and read a letter dedicated to the family members she lost in the atrocity. “Dear dad, brother, it’s been 81 years since we’ve been apart, but I have been talking to you in my heart, can you hear me?” Shi read. 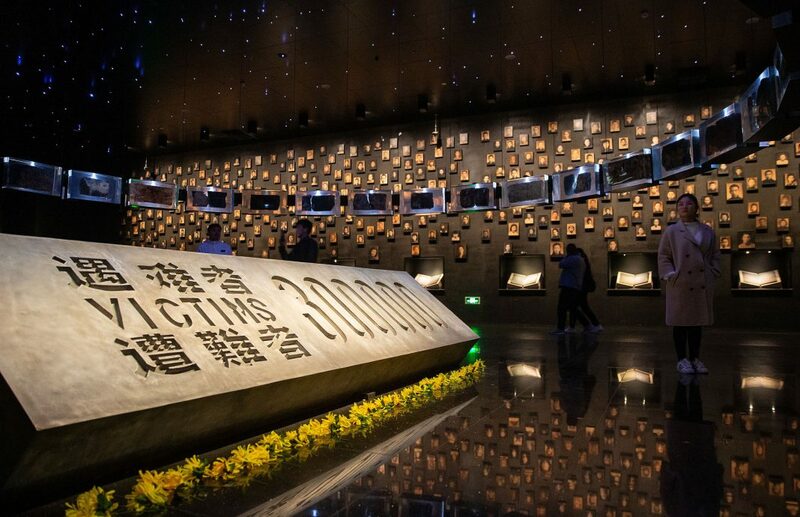 Starting yesterday, family members of the victims of the massacre began a series of commemoration activities such as laying flowers, burning incense and reading letters before the memorial hall wall where the victims’ names are engraved in Nanjing, capital of east China’s Jiangsu Province. Shi, 92, said her father was killed by the Japanese 81 years ago. Another survivor, Yu Changxiang, 91, said his father was killed but his body was never found. “The name on the wall is the only way we can mourn him,” Yu said. “So many people lost their lives, relatives and families in the Nanjing Massacre. We must remember the trauma the Chinese people suffered, and cherish the hard-won peace,” said Lu Jinghan, a primary school student. The Nanjing Massacre took place when Japanese troops captured the city on December 13, 1937. Over six weeks, they killed 300,000 Chinese civilians and unarmed soldiers. In February 2014, China’s top legislature designated December 13 as the national memorial day for victims of the massacre.